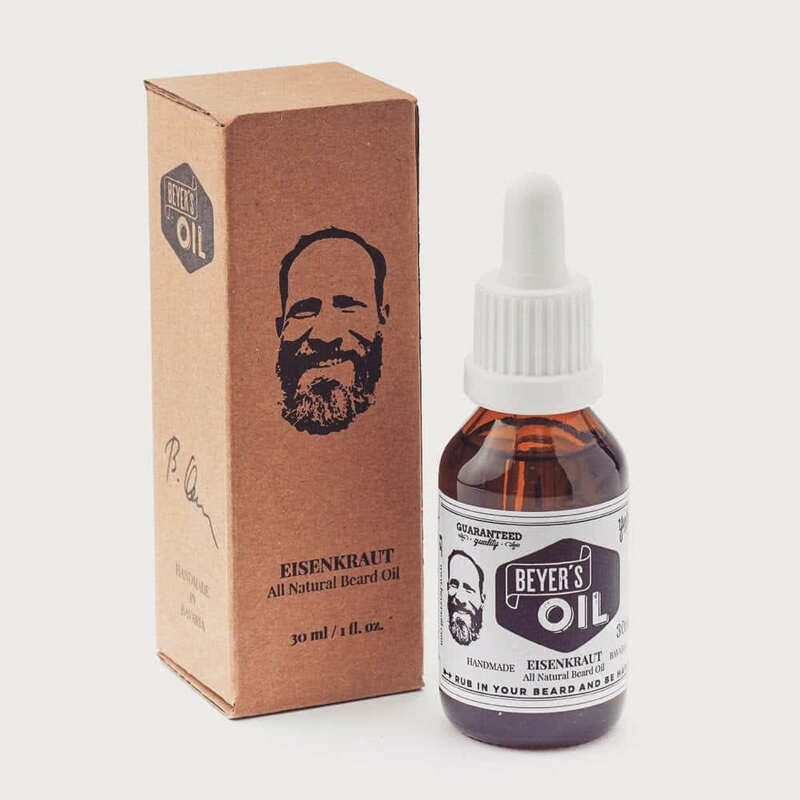 Beyer’s Oil Beard Oil Eisenkraut makes your beard feel softer and keeps your skin moisturised. Handmade in Bavaria from 100% natural jojoba (certified organic), lemon verbena (Eisenkraut), bergamot and lavender oil. The fragrance is characterised by fresh citrus notes without being too sweet. After washing (and drying), put a few drops in your palms and rub into your beard and skin. Shape the beard with a beard brush or comb as needed.